~Jo's Scrap Shack~: Ask Jo! It's Talk time Tuesday~ VERY LONG But WORTH it! Ask Jo! It's Talk time Tuesday~ VERY LONG But WORTH it! Next some exciting news I want to share with you. I am now a Stampin Up Demonstrator!! :) For your convenience, I have added a link to my Stampin Up store on the side bar at the top right of this blog. I want to let you know a little bit about some things going on right now at Stampin Up. 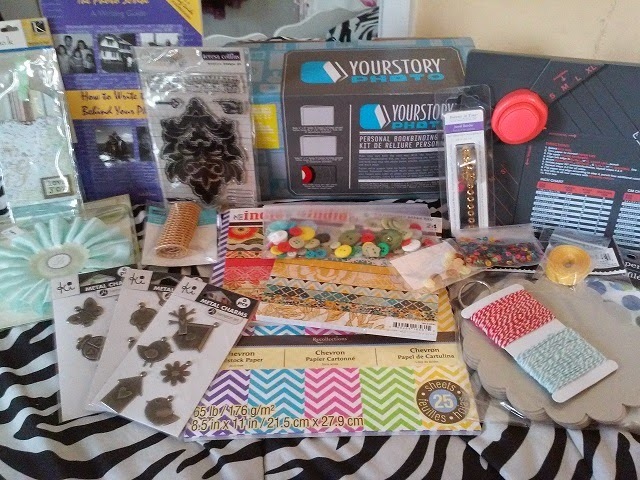 First things first, Stampin Up is getting ready to retire a ton of product; some of which are fan favorites. Here are the Stampin' Up! Weekly Deals ... you have until next Monday night, May 4th to order these items with the sale price. Okay so finally we can now move on to today's question and it comes from Tracey S. who wants to know, " I struggle so much with the start up process of creating a project. What to do first? Select the paper? Select the stamps? Cut the paper first or color the stamped images first? So Jo how do you get a project started??" Great question! Sounds like you are overwhelmed to say the least. The first thing that needs to happen before I can start the process of planning out a project, is I need a clean work space. If there is any type of clutter or mishaps from previous projects, I have to clean that up first. So I always make sure there is a clean work space, no distractions on my desk. What I tend to do first is pick out my papers. I find this to be the easiest for me because once I pick out pretty papers that I feel in the mood to work with, the rest comes right along very fast. After my paper is chosen, I will then pick out my copic colors to match my paper, pick out coordinating colors in embellishments or ribbons, etc and then I will sit down and start to stamp out my images and color in. If I am not working with stamps or copics, let's say I am working with just watercolors or mixed media, I will do the same process. Choose colors to match the papers I am working with. Everything falls into place after I choose the paper, at least for me. Before you know it, I'm creating away and by the end I have a very coordinated project. I hope this helps answer your question and thanks for writing in Tracey! Hope to hear from you again soon!! Congratulations on 3 years! Very exciting! I hope to take part in your blog hop! Congrats on 3 yrs. I look forward to your hop. Won at Simon Says Stamp Blog Hop this past weekend. I use to be a Stampin' Up Demo but found it hard to sell the $300/qtr so I decided to leave SU. I sold a lot of SU stuff including the blocks set in case at my yard sale 2 wks ago. Super Excited for the hop! Can't wait!! Congrats to you on your new SU' journey!! Congrats on your 3 yrs!!! I can't wait for the hop...it is going to be so much fun and thanks for including me:) Congrats on joining SU~that's exciting! I need to clean my space...usually like my area clean before I start but right now my room is out of control, lol!! I have all kinds of projects half done...I had to stop and work on baby shower stuff for this weekend. I really need to focus on it next week for sure! Congrats on your new Stampin Up adventure. I prefer a clean work space but it usually is a mess. lol. Thanks for your interesting conversations. I have a question for future consideration. I seem to be among the addicted, and have purchased enough supplies to open my own shop. Does this sound familiar? My real question is this ... I use a big variety of my supplies, and I do make a lot of cards. However, when I get around to tidying my stash, I find items I had completely forgotten about. How do you make use of ALL of your supplies/tools? Dorothy this is a great question and I will definitely try to address this one because you are not alone with this, I promise!!! It sounds all too familiar to me my friend! Hoarding and "having" to have it all sits among a lot of us crafters!!! Stay tuned in on Tuesdays and we'll cover this topic!